Commissioned in August 2013 as part of the GENERATOR committee for Mappa Dundee, and exhibited in December 2013. This project documents the past 4 years of my life and projects 1 year into the future. "Mappa Dundee is part of a wider research project entitled 'Curating City and Space' by Donna Holford-Lovell. In response to Donna's primary research question, 'what makes a healthy creative community? ', Jonathan Baxter commissioned ten artists and one arts collective to map their own creative community and what social, environmental and economic systems sustain them." 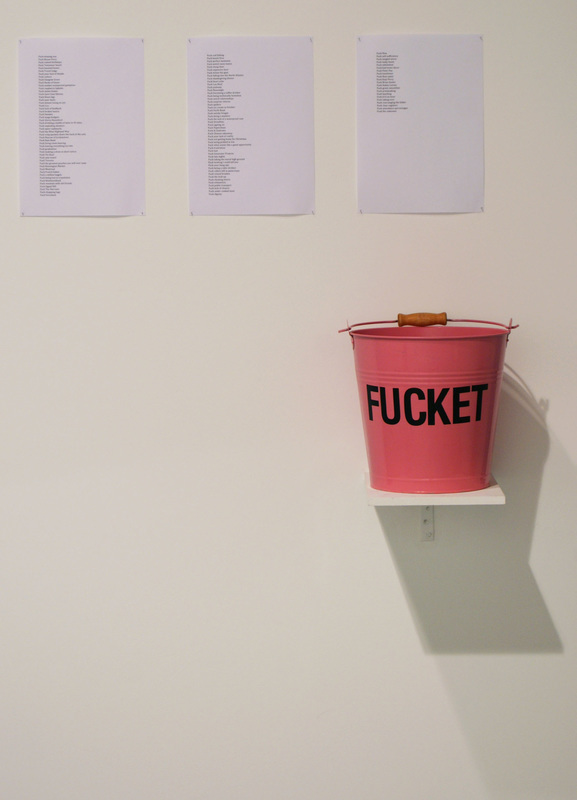 Fucket install (2013) Metal bucket, spray paint, vinyl, A4 copy paper, ink. 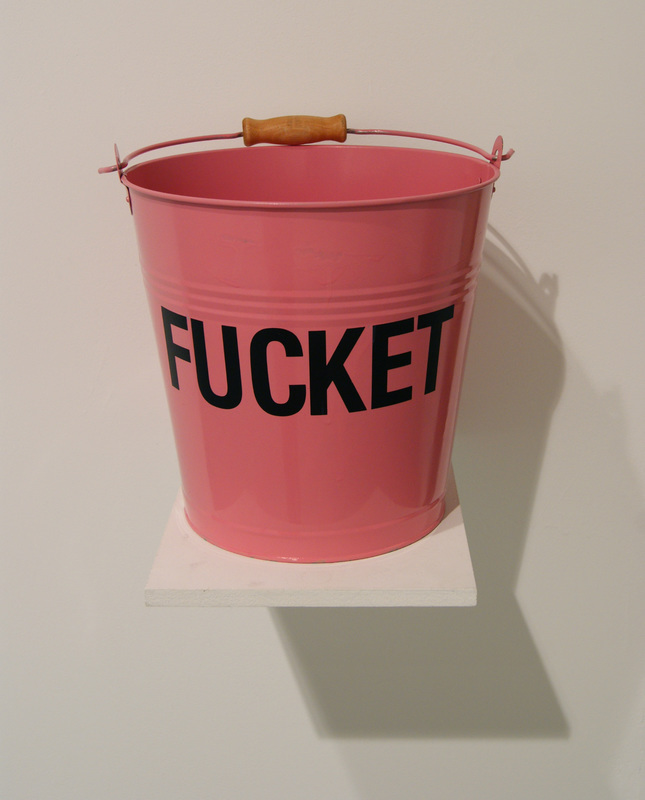 Fucket (2013) Metal bucket, spray paint, vinyl.